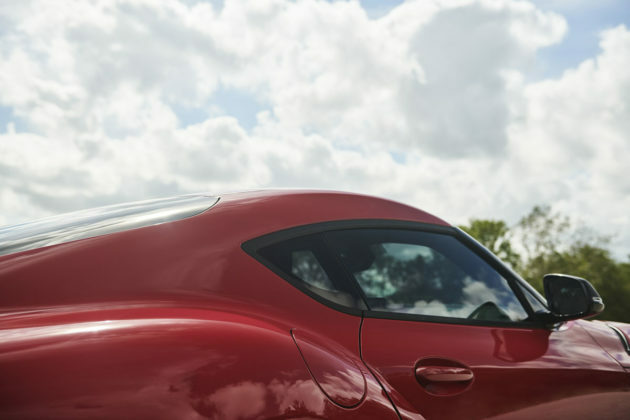 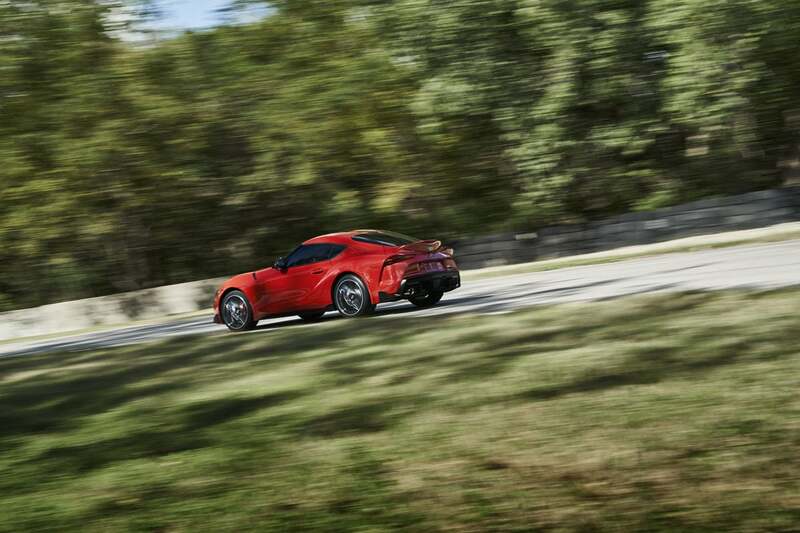 The weight on the 5th generation Toyota Supra’s shoulders is considerable. 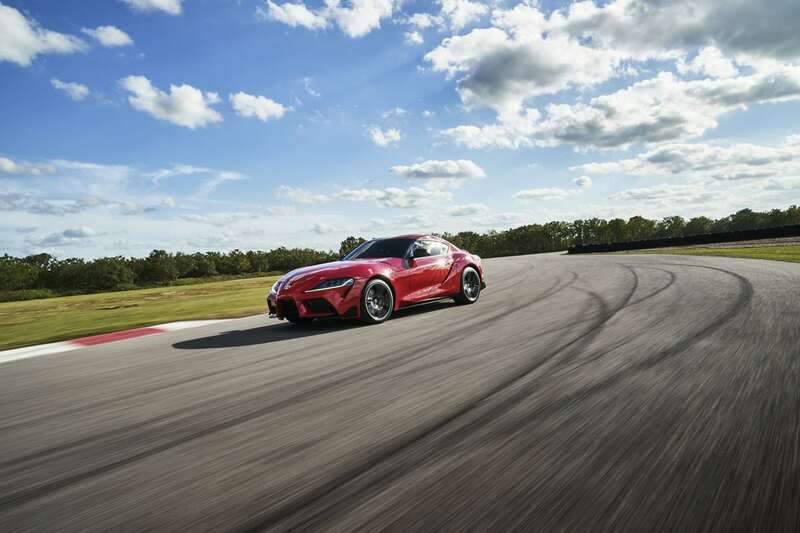 It will be scrutinized, torn apart, loved and mostly driven hard. 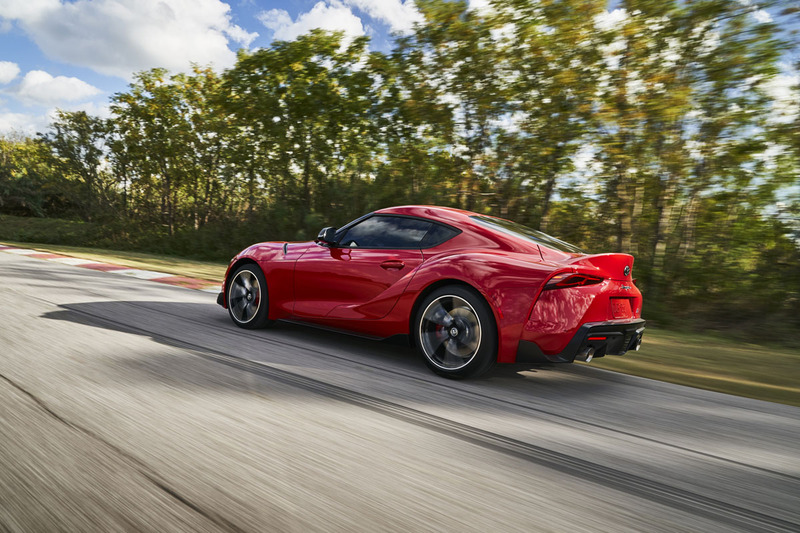 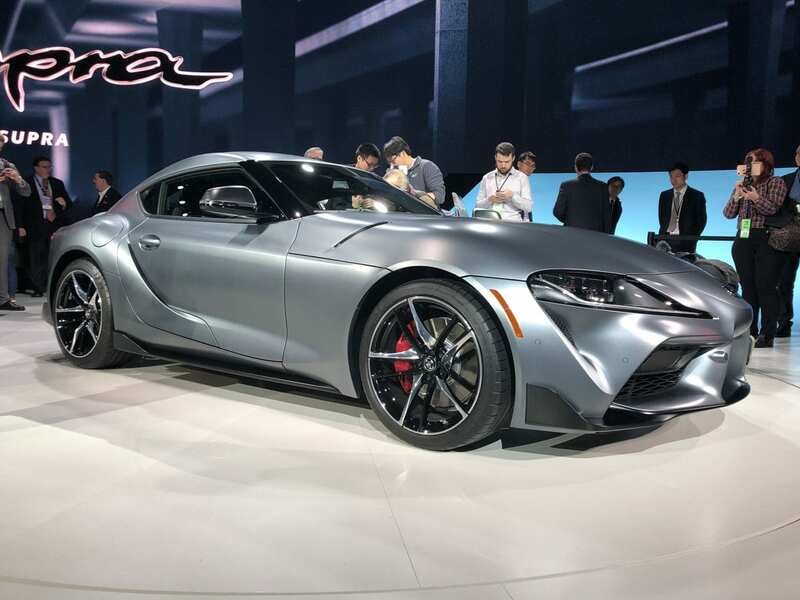 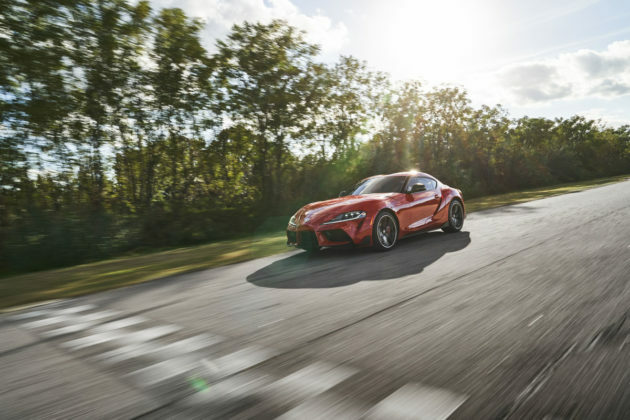 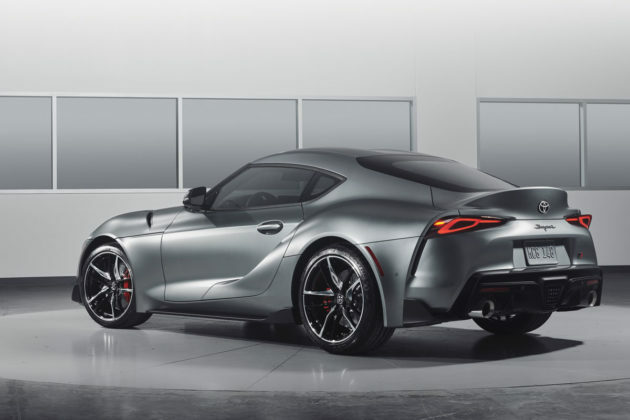 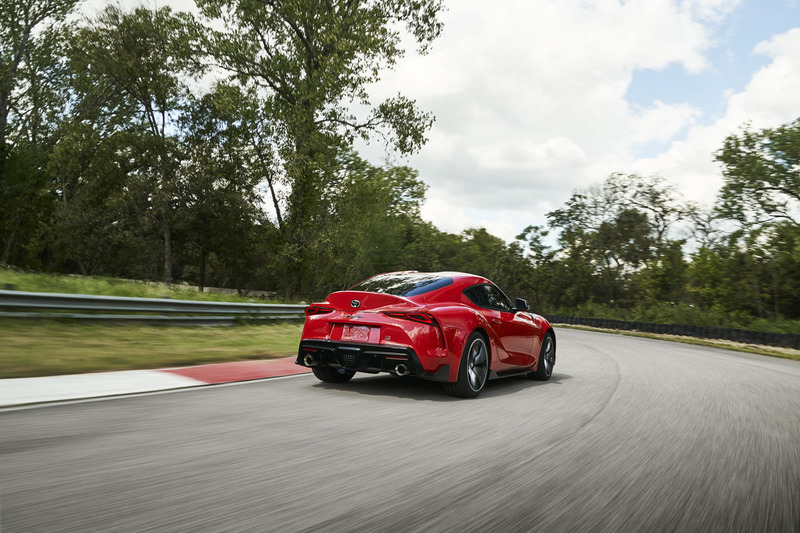 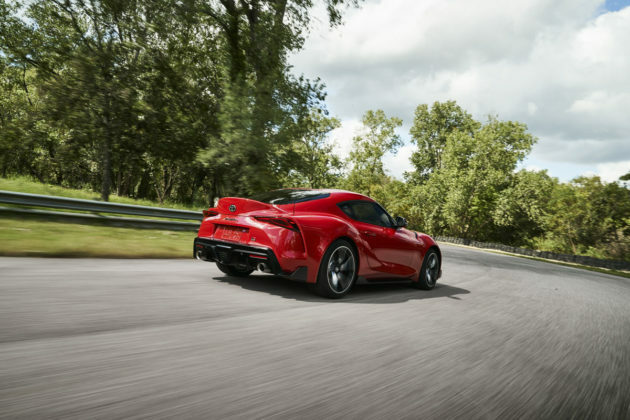 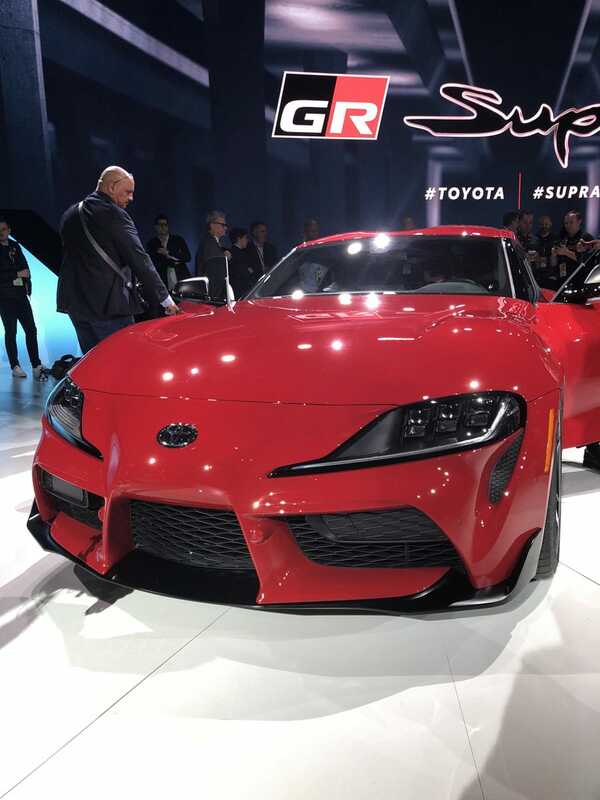 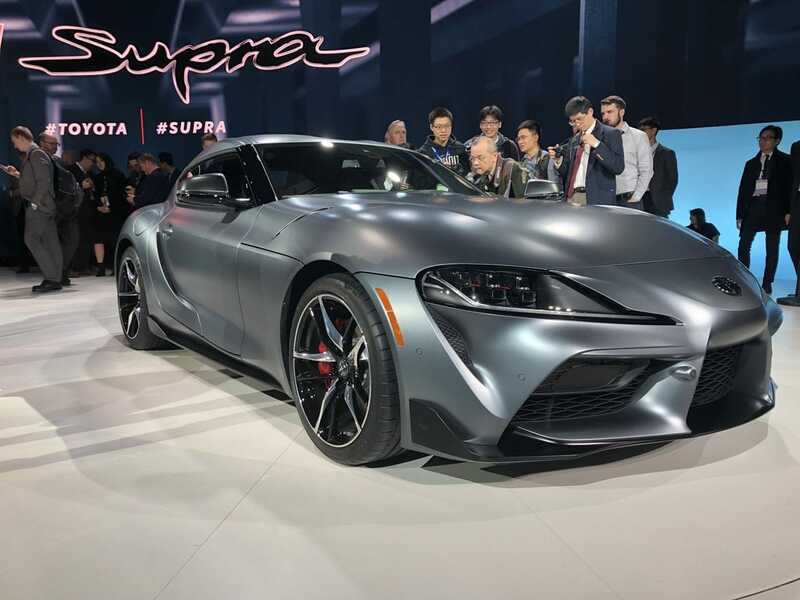 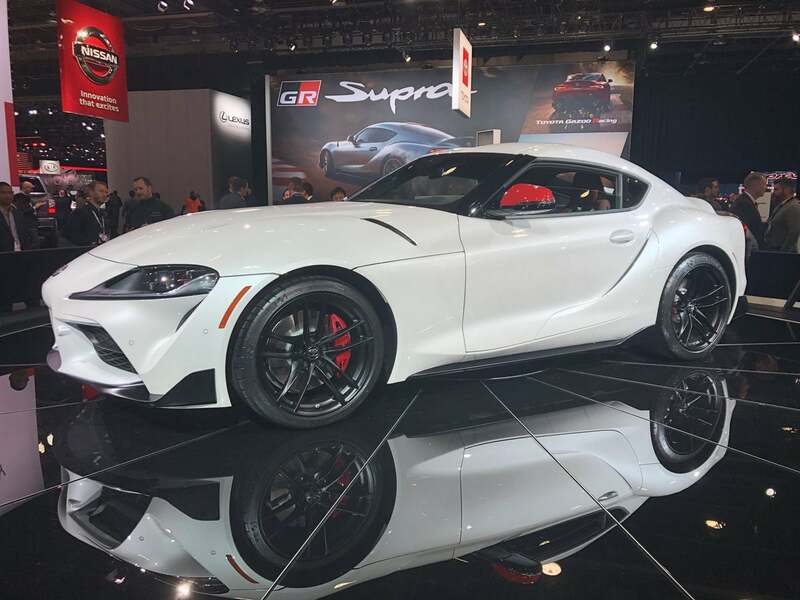 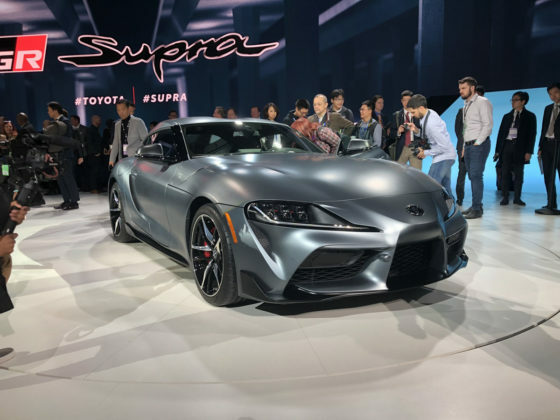 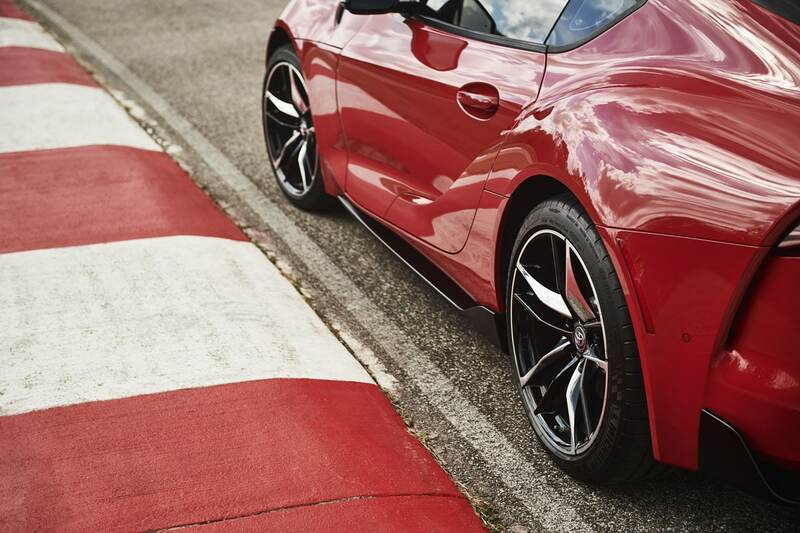 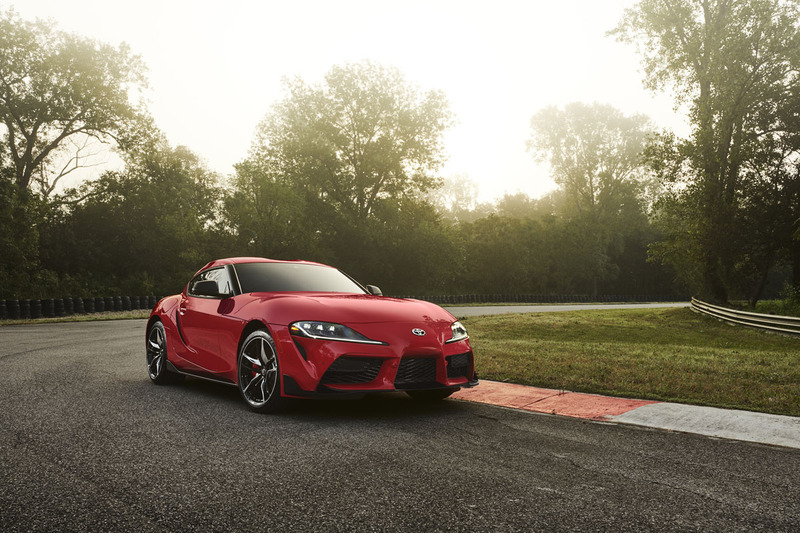 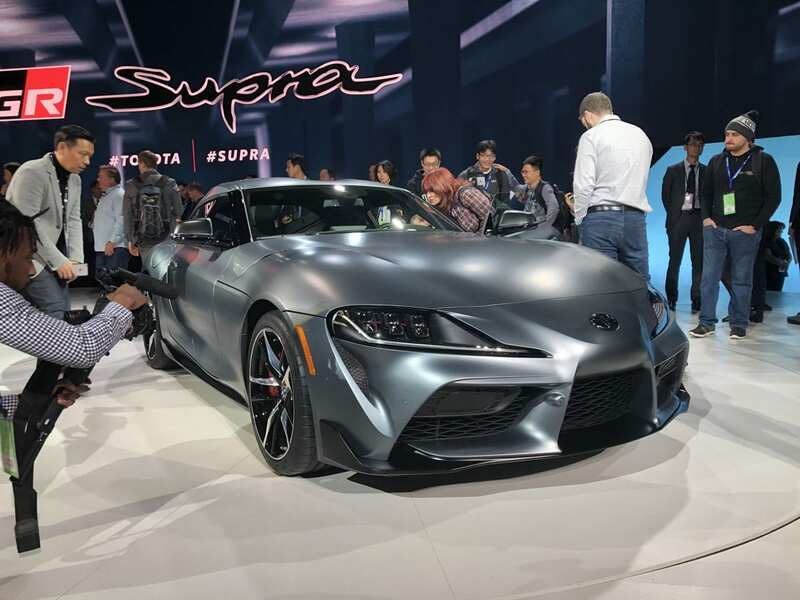 While many are displeased with its BMW roots, we think they should be welcomed and will make the 2020 Toyota Supra a better car. 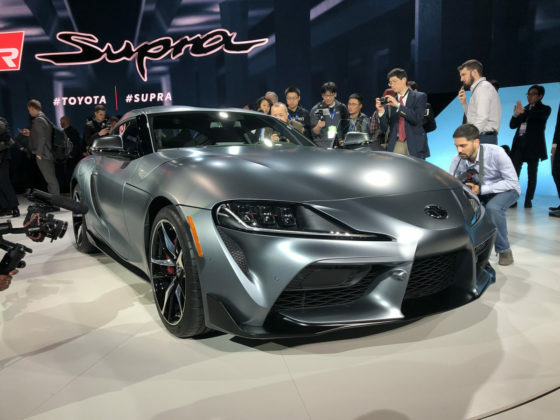 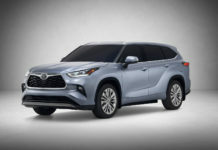 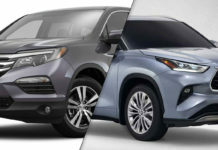 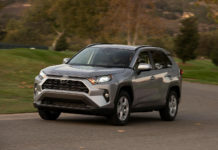 While we can’t tell you if the media or Toyota milked the coming of this car the most, we can safely say, now that we’ve seen it with our own eyes, that it certainly looks right. 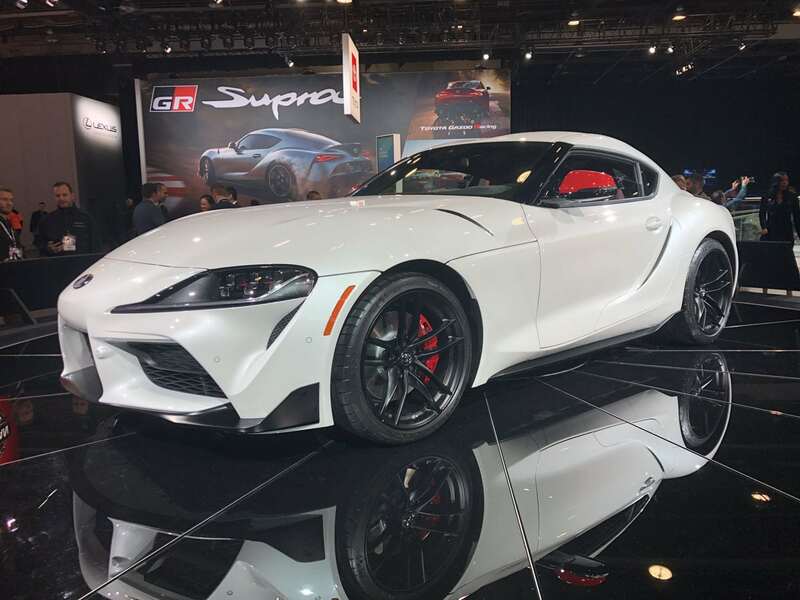 What is the Toyota Supra? 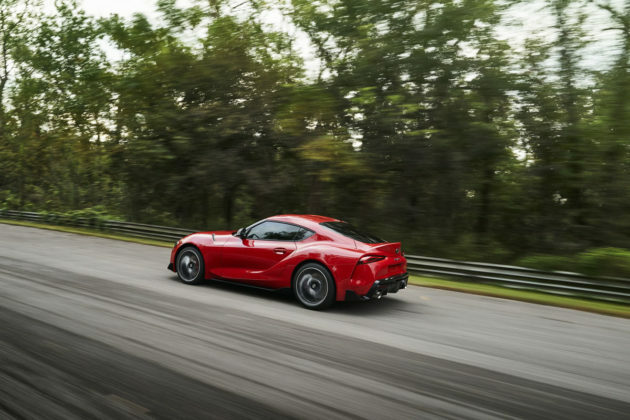 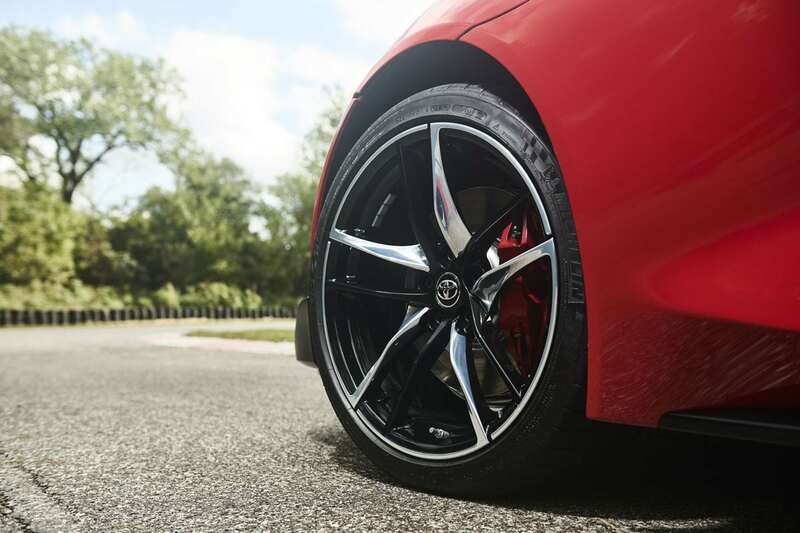 In Toyota’s portfolio, it is the brand’s flagship performance car. 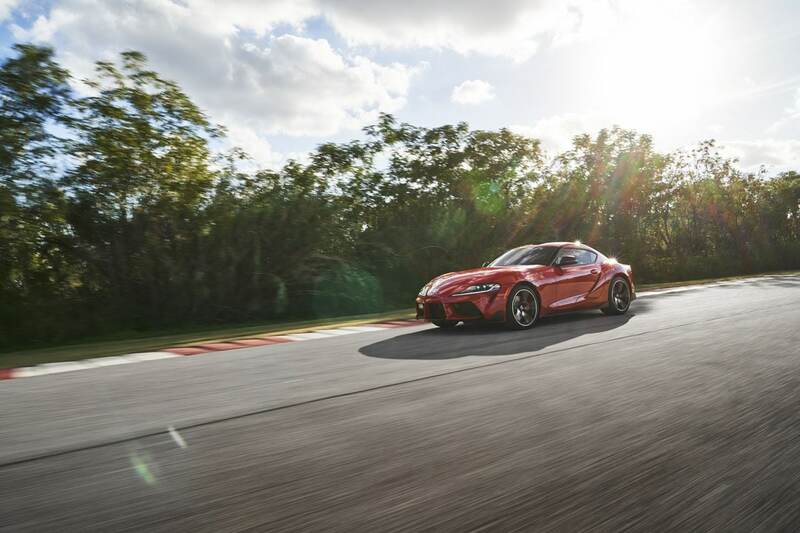 Yes, the Toyota 2000GT is the true range-topper but it long ago became a dream that only the filthy rich can attain. 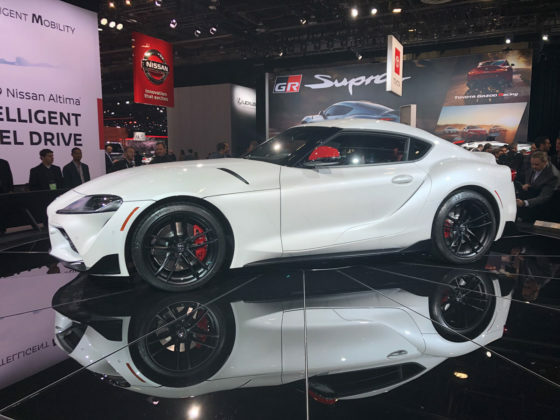 The Supra started off as a humble 2- or 3-door sporty car 40 years ago but by the 3rd generation, the addition of a turbocharged engine changed all that. The one we all remember (thank you F&F) is the 4th generation car which provided near super-car performance (before mods) and styling that make JDM freaks weak at the knees when they see one. 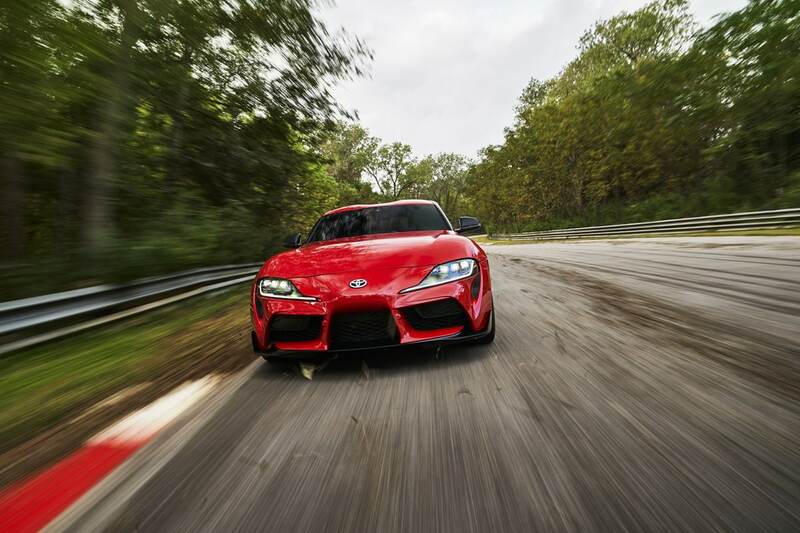 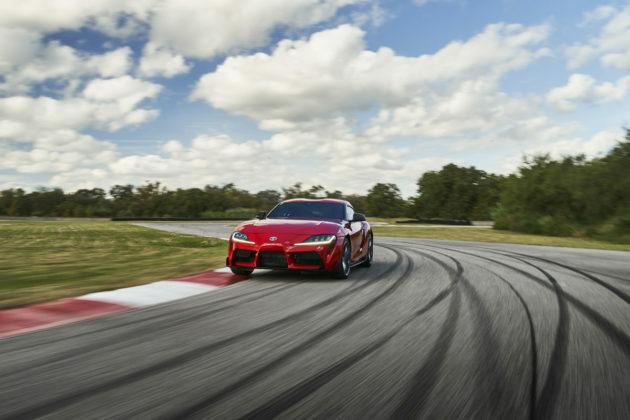 The all-new BMW-built 5th generation Supra aims to build upon the previous car’s legacy and take it to the next level. 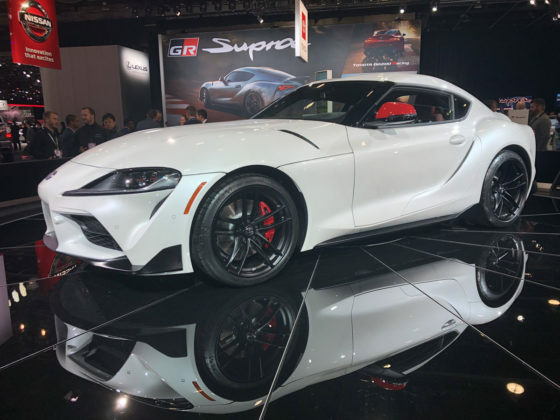 Yes, BMW was involved early on in the Supra’s rebirth and does supply many components but that will turn out to be a very good thing. 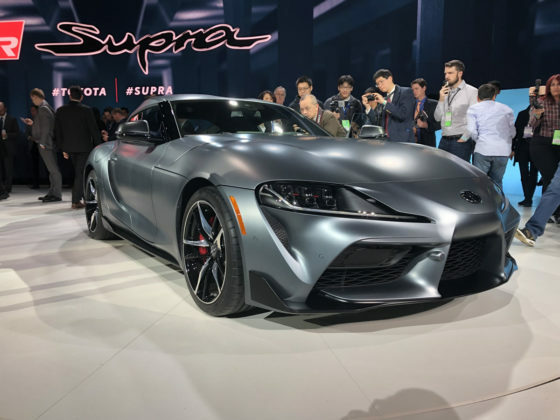 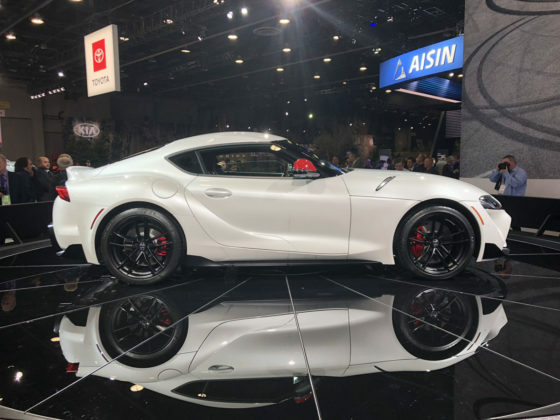 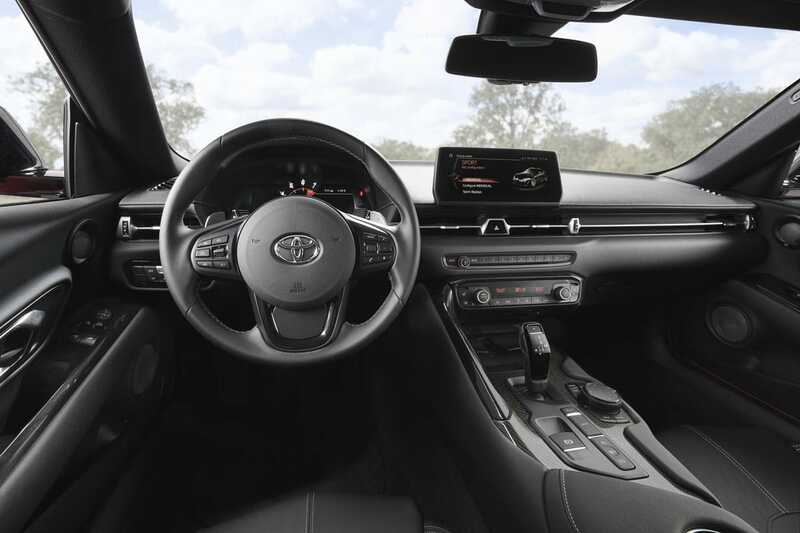 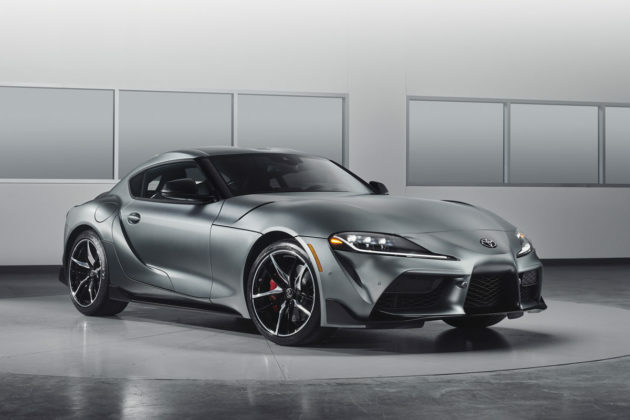 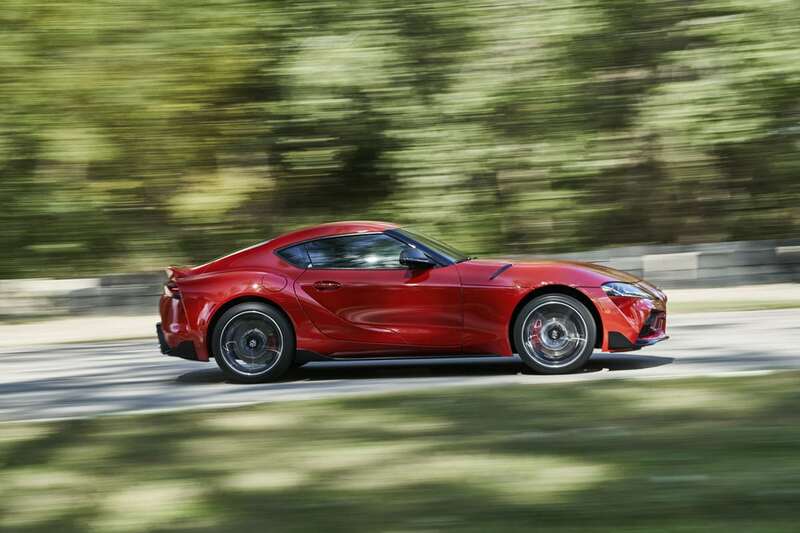 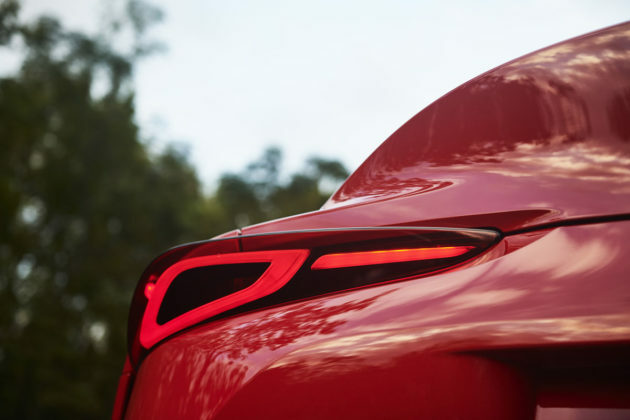 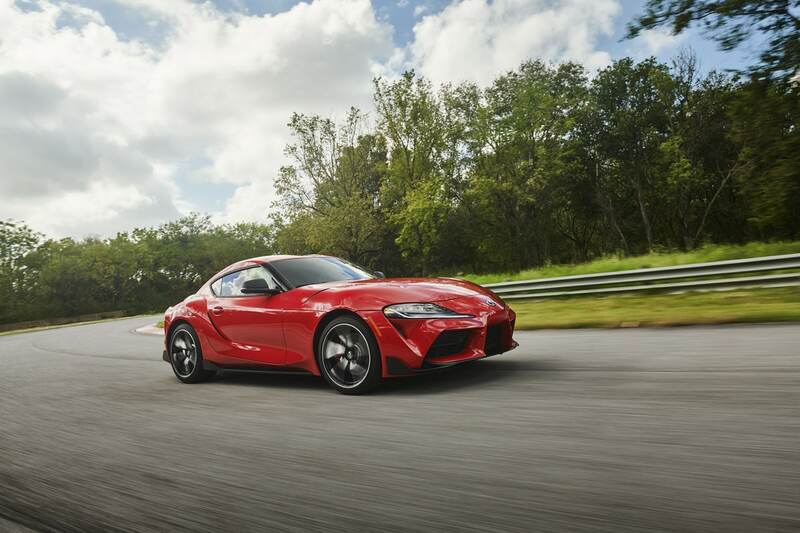 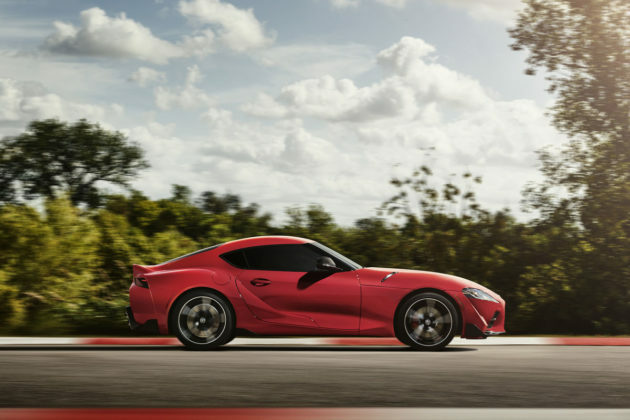 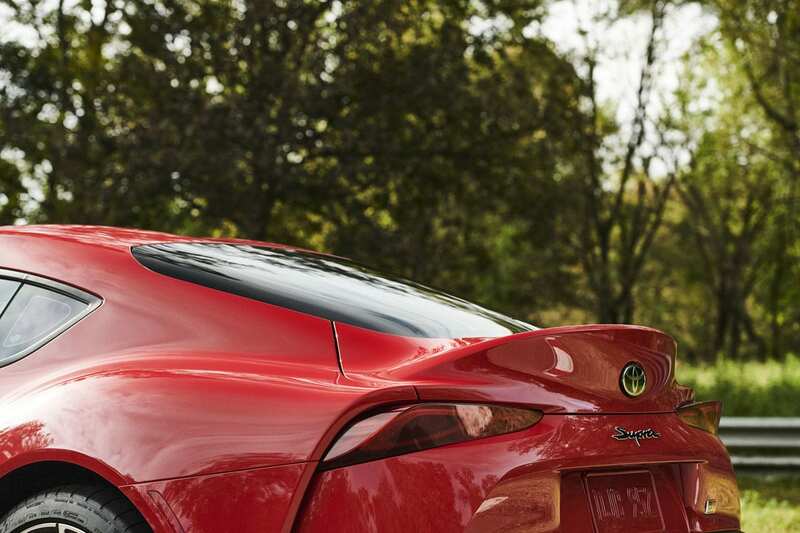 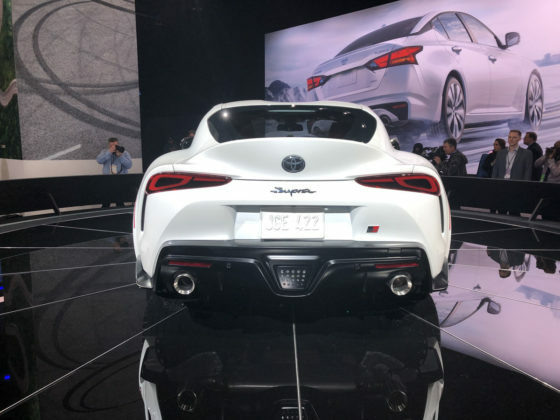 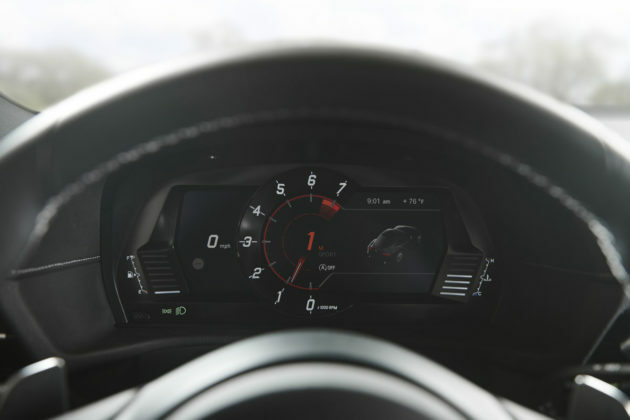 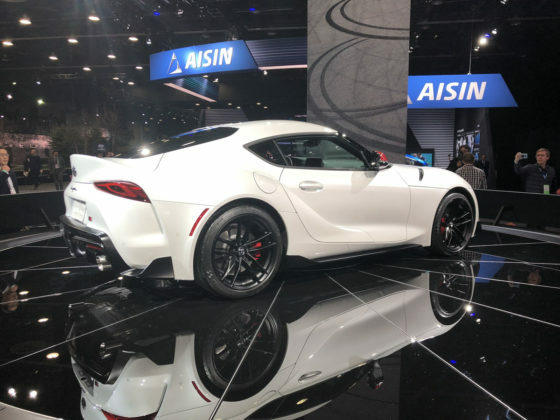 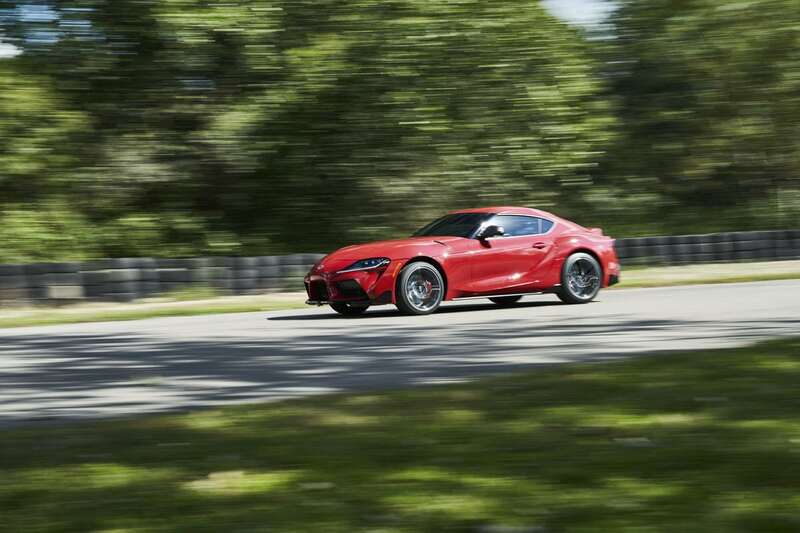 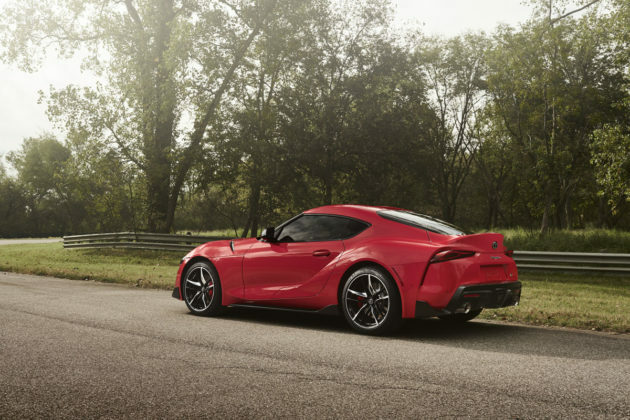 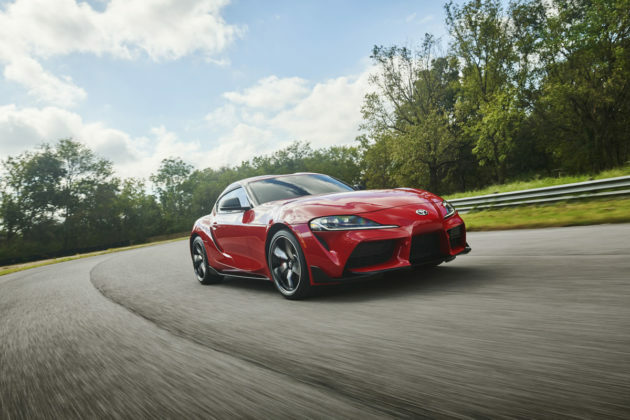 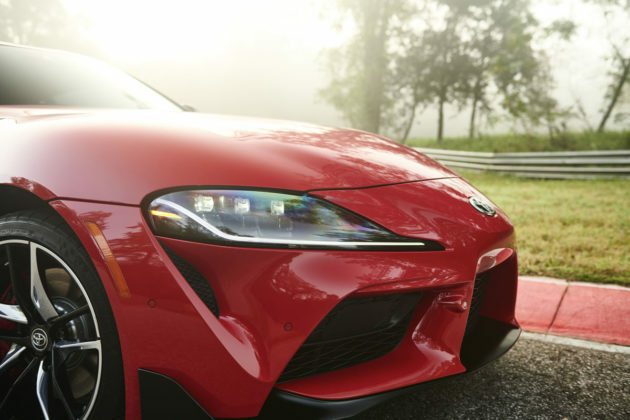 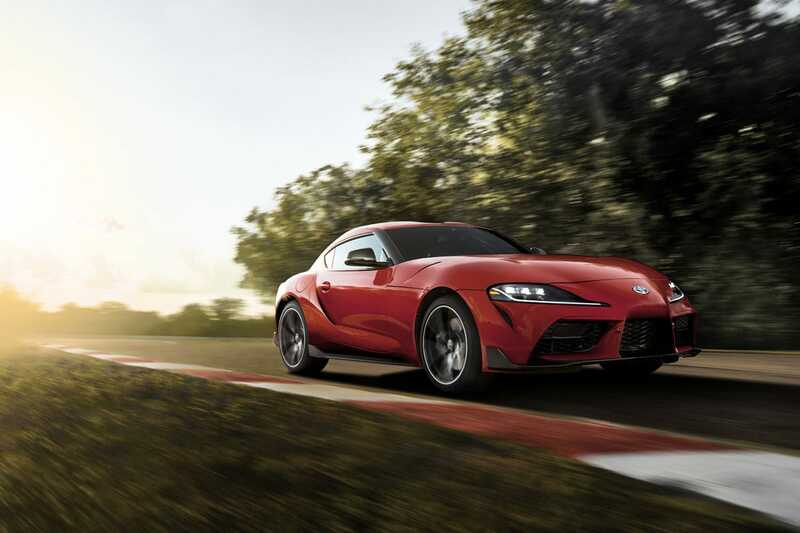 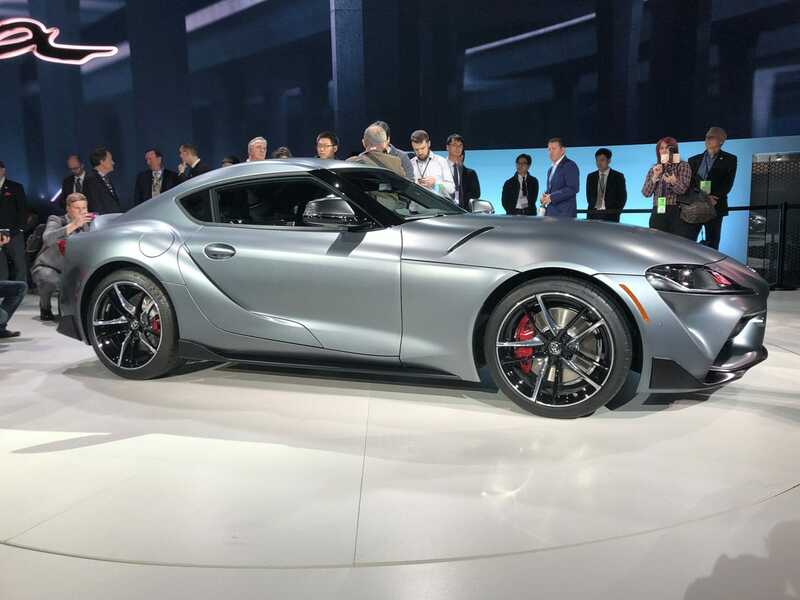 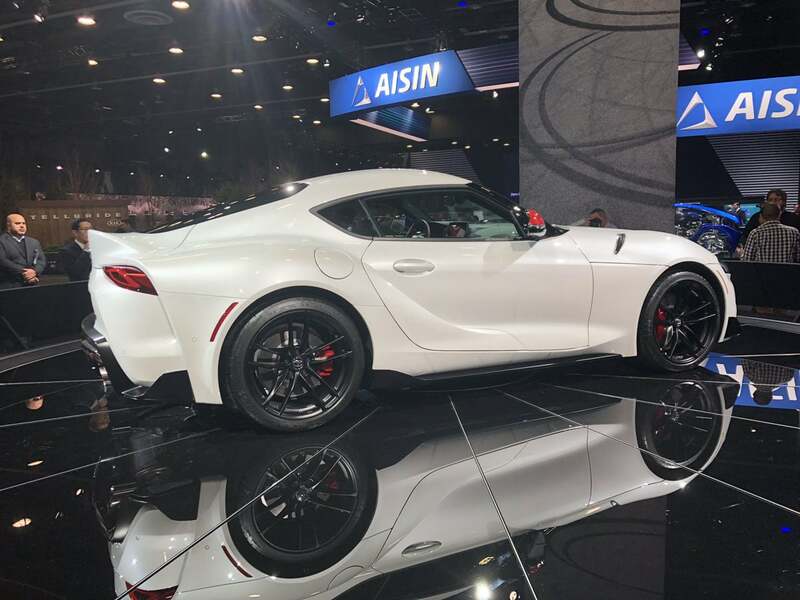 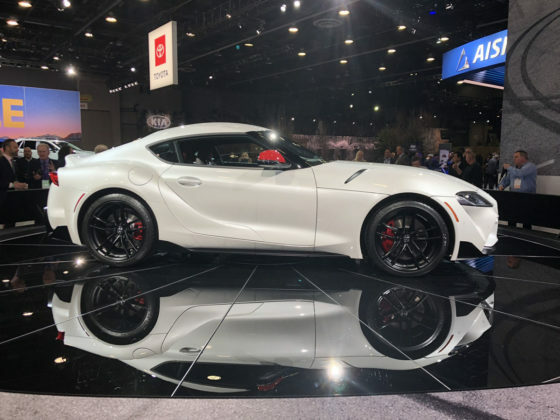 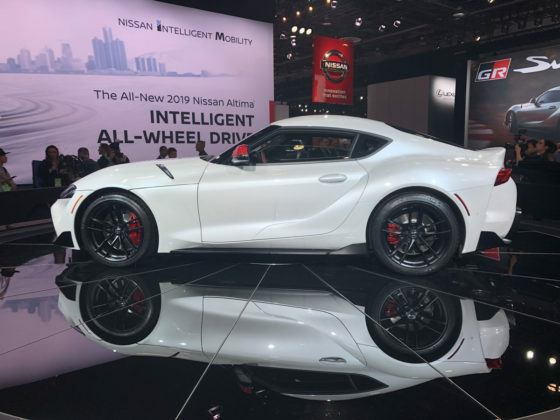 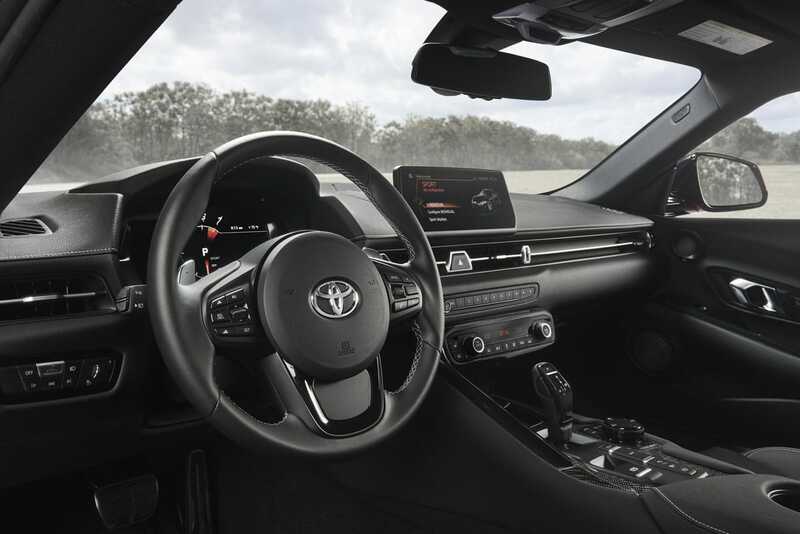 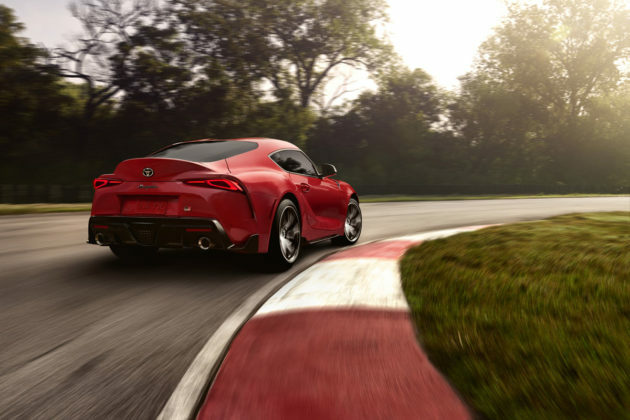 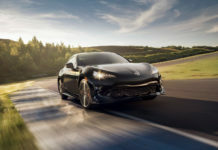 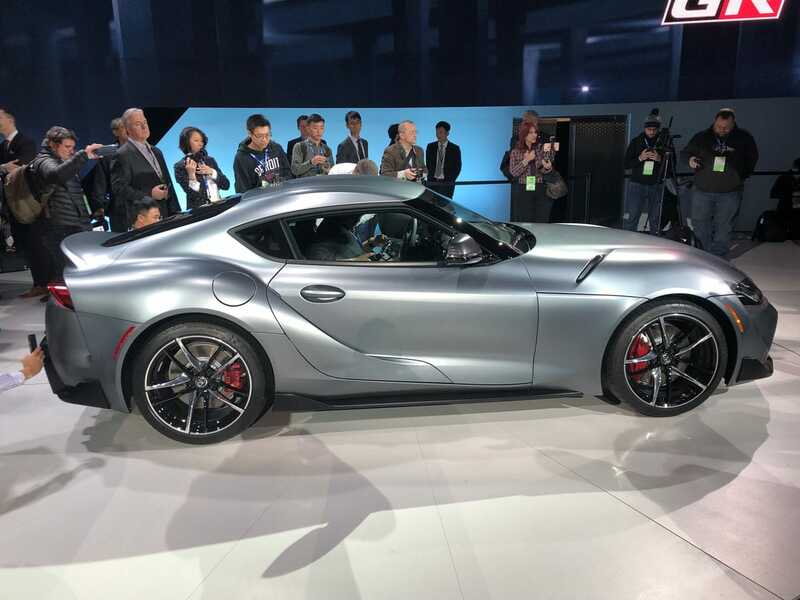 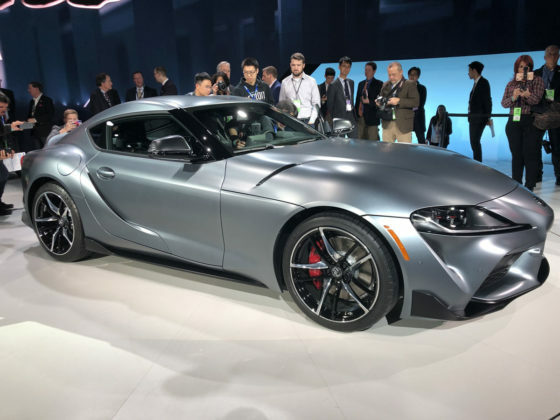 What are the variants available with the 2020 Toyota Supra? 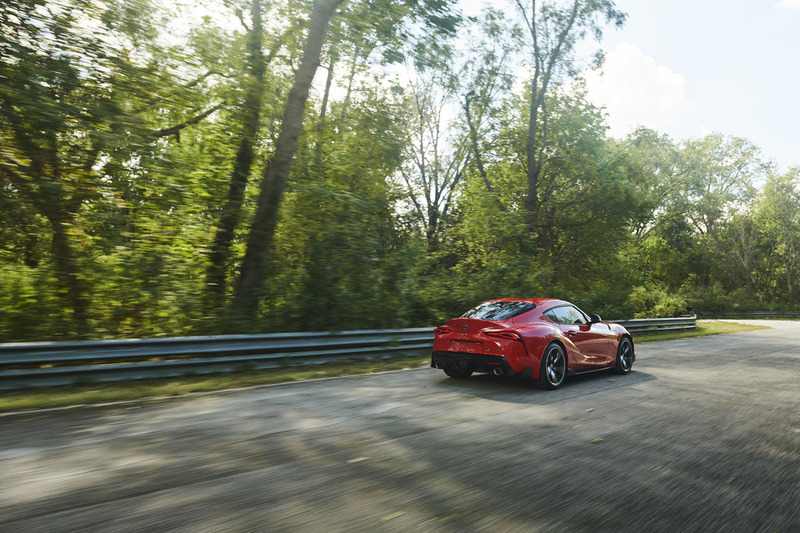 For the moment, the “A90” 2020 Supra will be offered in a sole trim with a small options catalogue. 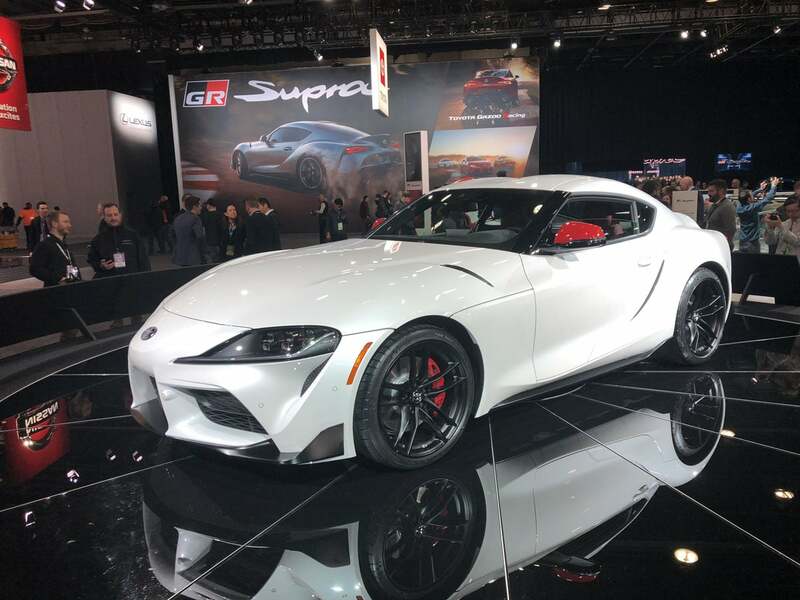 Previous generations of the Supra were sold under two trims minimally (most recently base and “Turbo”) which makes us think that there will be other variants to come over time. What’s under the hood of the Toyota Supra? While BMW’s responsible for the 2020 Toyota Supra’s basics, it is VERY important to note that this is Toyota GAZOO Racing’s first global GR model. 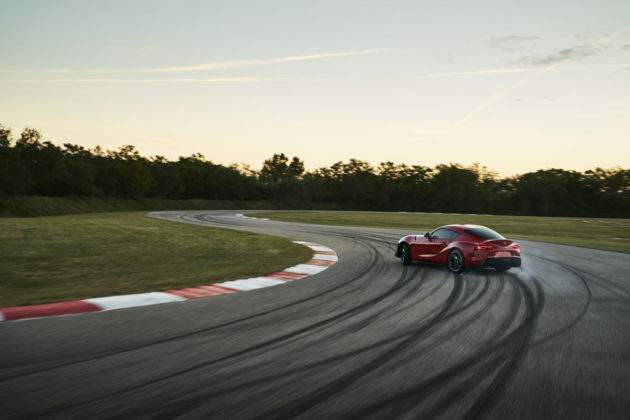 The new Supra’s BMW-sourced 3.0-litre twin-scroll turbocharged inline-6-cylinder engine will produce 335-horsepower and 365 lb.-ft. of torque. 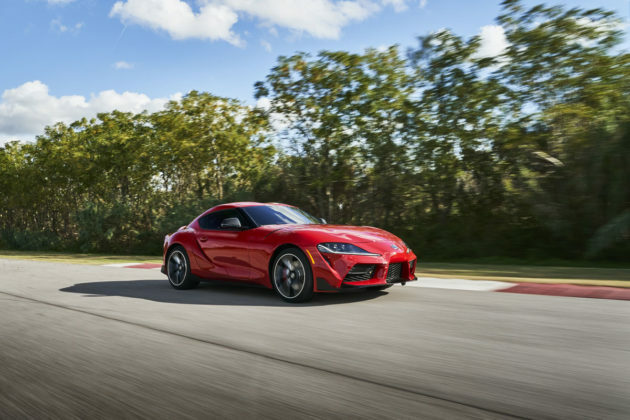 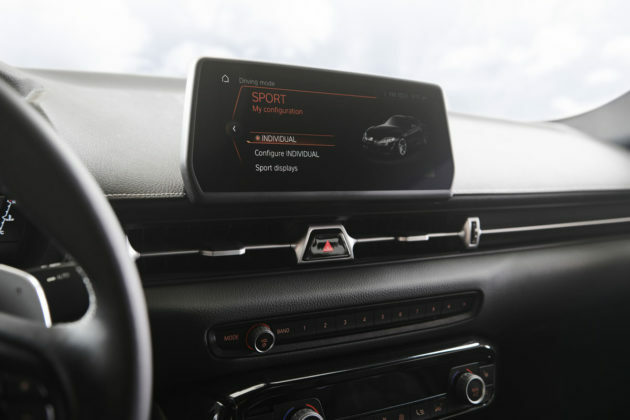 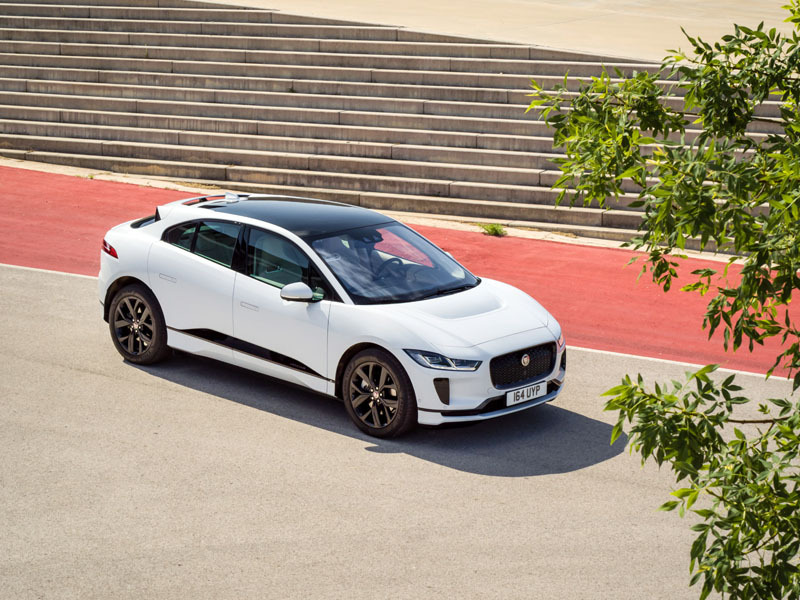 The only transmission offered will be an 8-speed automatic transmission with paddle shifters and a rear active differential. 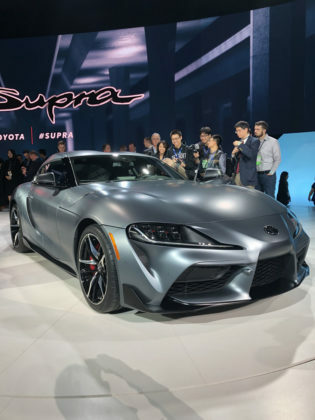 As we all know, today’s slush boxes are wicked-efficient and quick which explains why and how Toyota projects a 0-96 km/h sprint time of 4.1 seconds, or 0.3 seconds faster than a BMW Z4 M40i, on the way to an electronically limited top speed of 250 km/h. 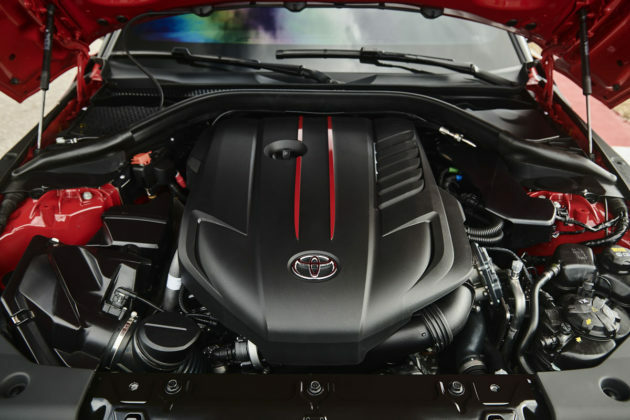 There will be 4-cylinder turbo variants available in other markets around the world however nothing is confirmed for our market. To note, even with the 2.0T, the Z4 does not get a manual transmission. The 2020 Toyota Supra arrives this summer. 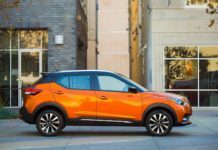 Pricing information has just been released and it’s not exactly good, or attainable we should say. 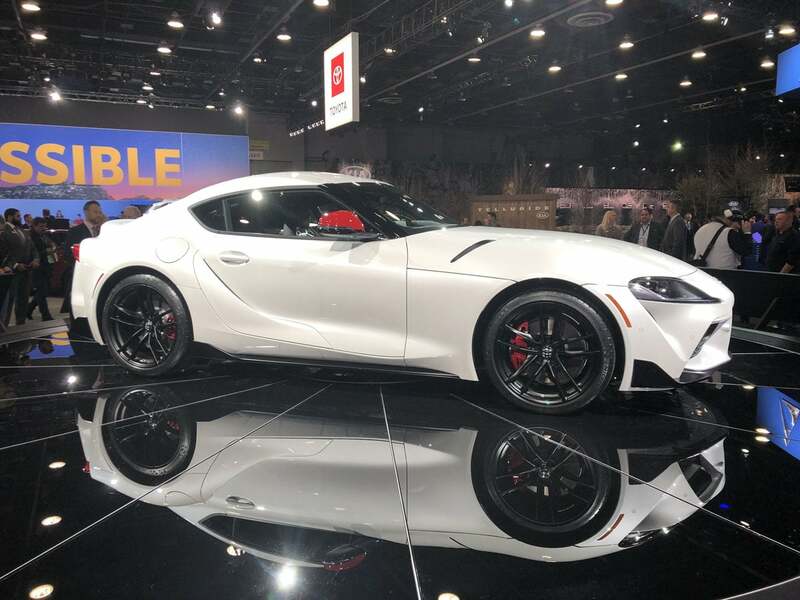 The base 3.0 car will start at $50,920 USD which will probably translate to $55,000 to $57,000 CDN. 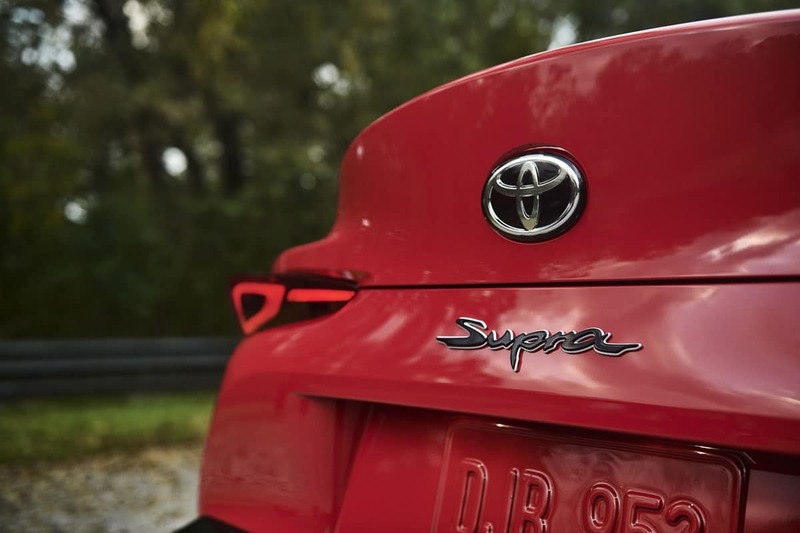 In other words, Toyota wants to keep the car exclusive, at least to start. 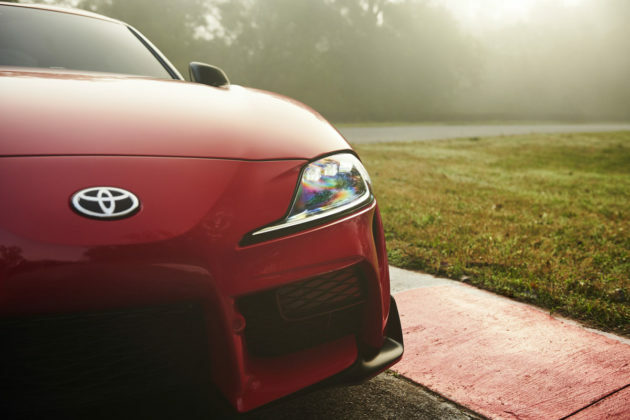 The upgraded 3.0 Premium will sport a $54,920 USD sticker price. If our math stands, this’ll be a $60k CDN car. 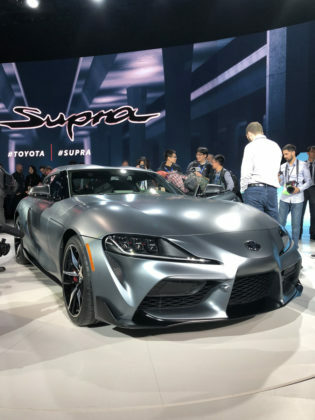 There will be a $56,180 USD Launch Edition, limited to the first 1,500 units. The future possibility of a 4-cylinder version could be the one Supra true fans will be able to almost afford if the price hovers in the $40k zone. Freight is included in these prices. What do we think about the 2020 Toyota Supra? 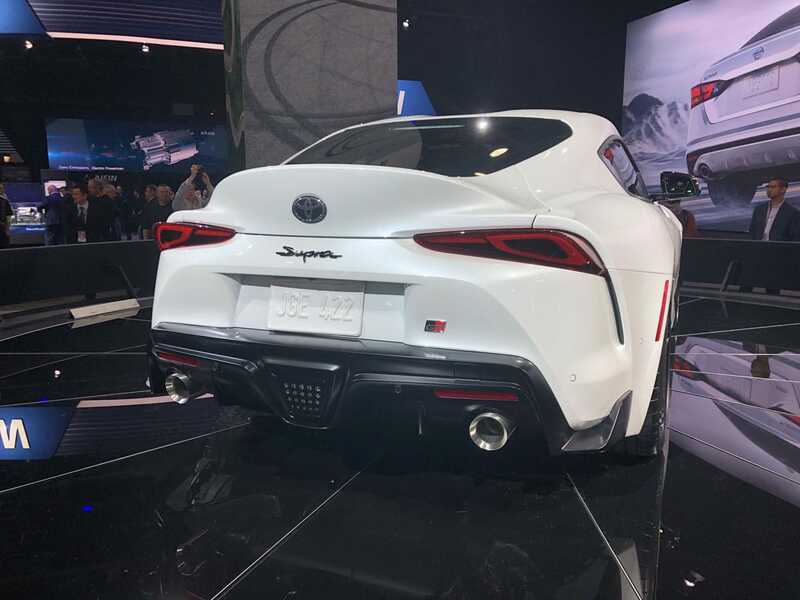 We want to believe Akio Toyoda, Toyota Motor Corporation president, when he says that this car was worth the wait. With expectations this high, we hope and think it will be brilliant. 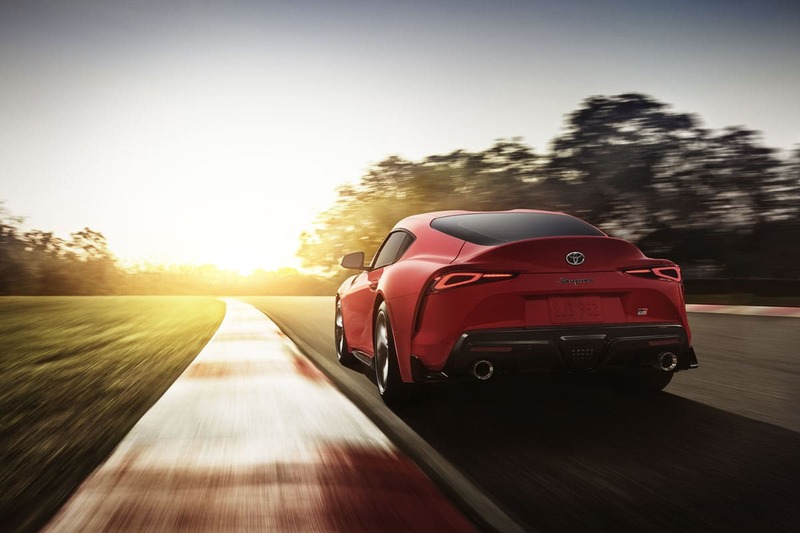 We also think that a more powerful version is possible. 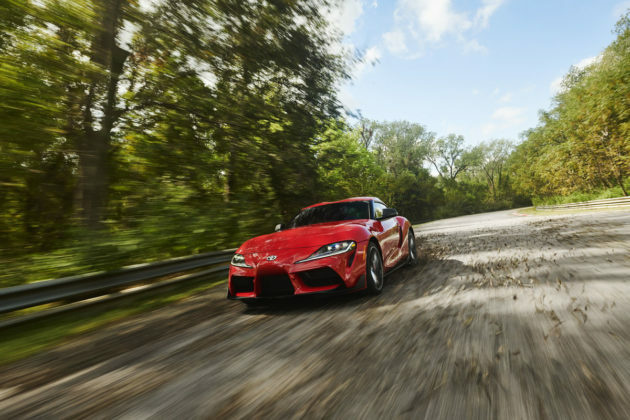 The BMW Z4 M40i gets 382-horsepower but we know this same mill can easily put out another 65 horsepower with little effort. The question is whether or not Toyota signed on for this and/or if Gazoo Racing will have to figure it out on their own. 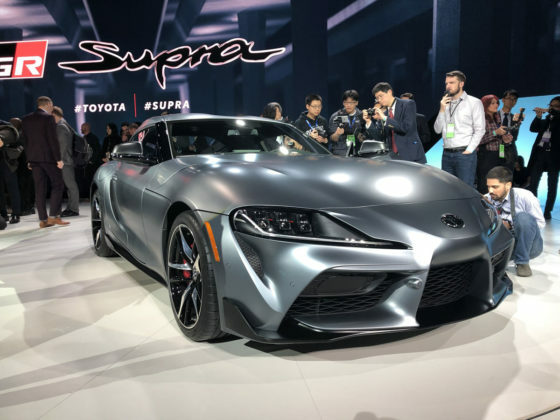 We won’t be surprised to learn that a roadster version could be in the works (it is based on the Z4 after all.) 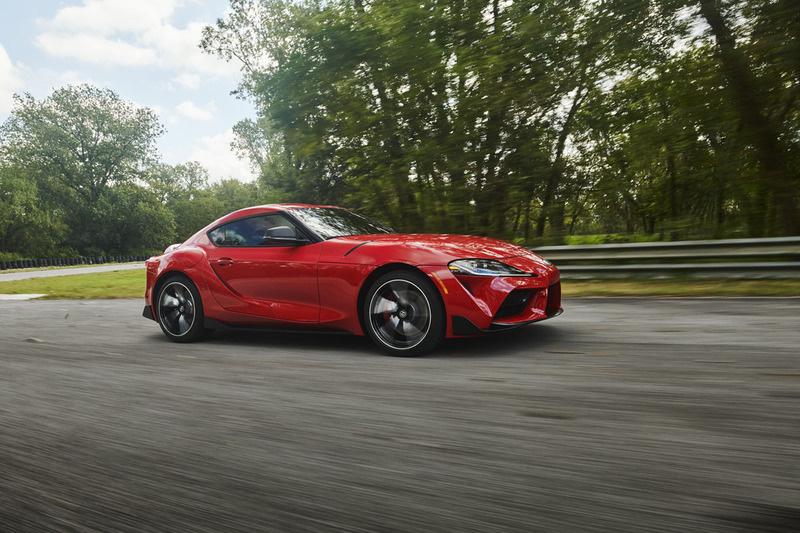 Once more, it depends on the deal Toyota has with BMW. 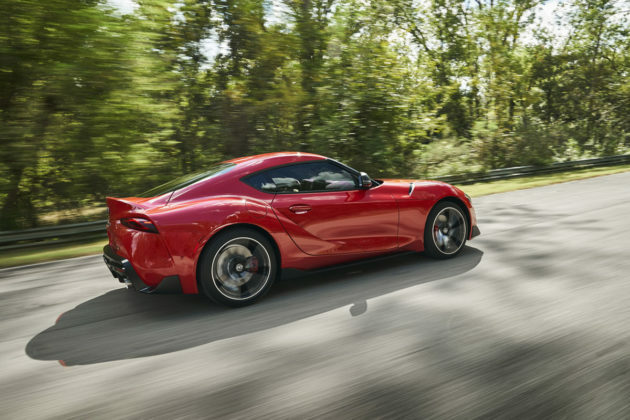 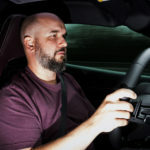 Should a power-folding drop-top come, it won’t be for years – It’ll happen to boost interest in the car once the novelty of a new Supra has worn down. 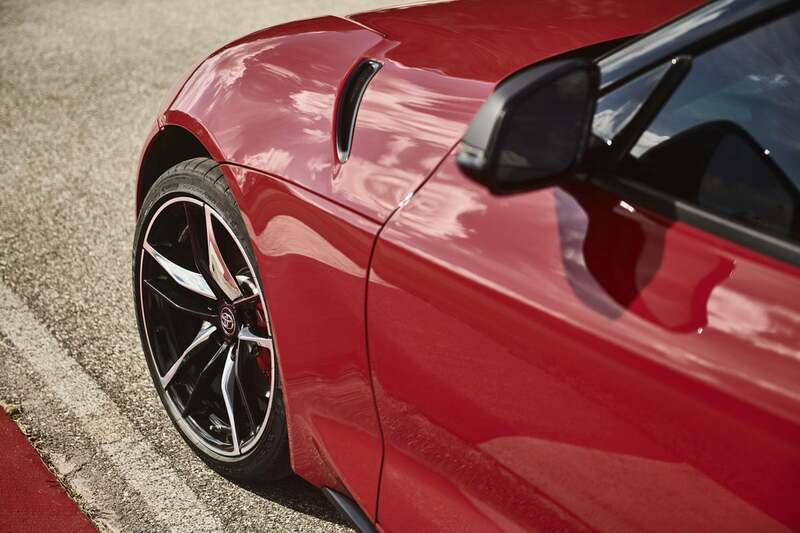 As well, we CAN’T WAIT to drive it!